Bangladesh will host Australia for two Tests in October - the first series between the two teams in nine years. The tourists will play a warm-up match in Fatullah before the first Test in Chittagong on 9 October, with the second Test in Dhaka eight days later. Australia won both matches the last time they played in 2006 and this year's series will be only the third between the two countries. 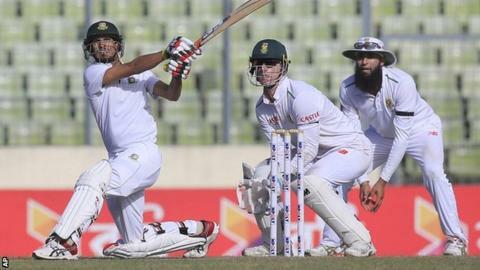 Bangladesh are ranked ninth out of 10 Test-playing nations. They have enjoyed more success in the short forms of the game, knocking England out of the World Cup in March to reach their first quarter-final. Home one-day series victories over Pakistan, India and South Africa have followed. They drew a Test against India in June and are on the verge of drawing a two-Test series against the world's top-ranked side South Africa.